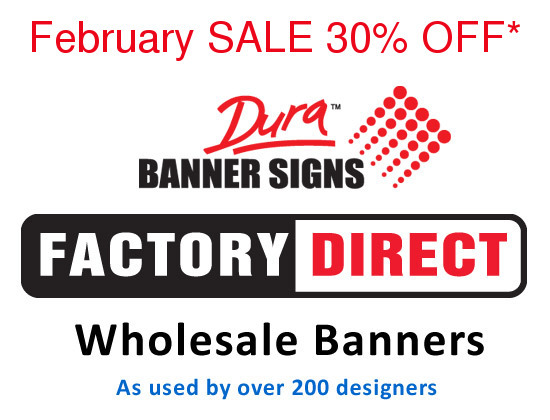 An excellent service, their system is amazing and it's all direct from the factory Now the premier online factory to you... sign banner & display printing service ...gives designers and managers a direct link to this one stop source for their wholesale ordering 24/7. Hear the great feedback from customers and their success stories. The banners you made for the Grand Event worked a treat and Mercedes were wrapped with the quality. I have another request as follows, can this be quoted on the same fabric as previous. It is very striking so it looks good. A couple of weeks ago we used the banners for the first time – at the Mutuals conference. Thought you might enjoy a couple of photo’s. The banners looked fantastic and worked superbly. Prior to finding your company, we had contacted numerous companies, half of which wanted exorbitant rates and half who didn’t contact us after our initial inquiry. As a reseller, I am all for your site. Just wanted to send you a short note to so thank you very much for getting our banner done so quickly! It arrived on Monday afternoon and it looks great, so thank you for doing such a great job within such a short time frame. "You are the best! Your service is amazing and your upload site is beautiful." Just wanted to let you know that I am very pleased with the superior quality of the work. Awesome. An excellent job produced and delivered on time. Very well done to all the team. I want to let your know I have just received the Banner and it looks amazing say thank you for your efforts. I would also like to ad that I am very pleased with the service I have received from you and the company. It made it here within the estimated time arrival, I will recommend you to anyone looking for a banner or sign. 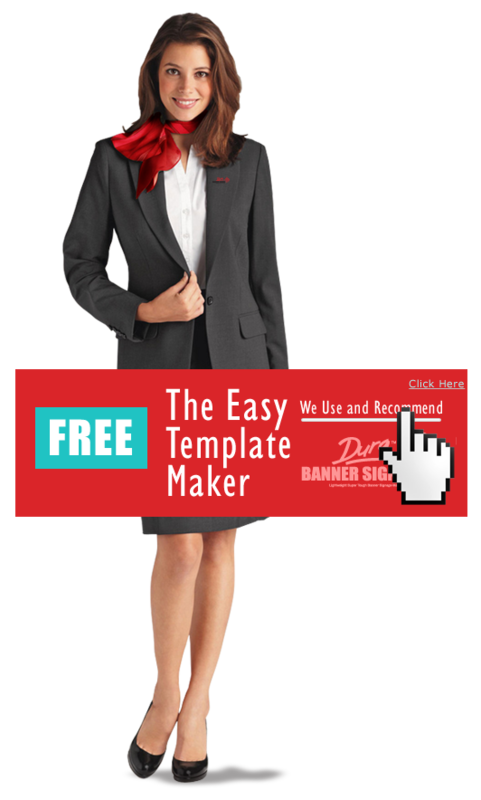 We would like to order again (QUANTITY = 2) of the 5’ x 9’ Dura Fence Mesh banners. We will order the 20’ one at a later date. Very good service and delighted compliments from my boss. I love being able to follow my order from start to finish, it arrived exactly as promised. Just letting you know we received the x5 Banners yesterday & we are over the moon with the quality and also the tracking service provided. We love them! Thank you & I will be recommending this to anybody that needs similar products. 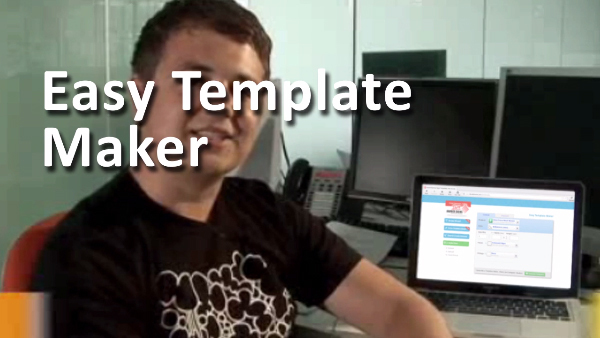 If you haven't yet seen the easy template maker... you should. It is brilliant for sizing the banners proportions and scale. Thanks it makes it... well... easy! It lives up to it's name. I use it everyday. We would like to thank you for your professional design work and for the prompt and courteous customer service that you and your company have displayed during the design process for our business, namely our banners. With a full service encompassing the nation with free delivery we always have something going on. At our images pages we endeavour to give you a wide scope of our sign banner printing sewing and finishing techniques, ideas and marketing concepts that may assist your ordering with us..
"From the first point of contact to the last steps of signing for your parcels, they give you more tools and information that you can 'self manage' all your marketing promotion and display banners for outdoor or indoor use. It's crazy good!" This is the best sign making service I have ever seen, well done to the foresight of this company. It is cheaper, faster and easier to use and as a reseller... it ticks all the boxes.